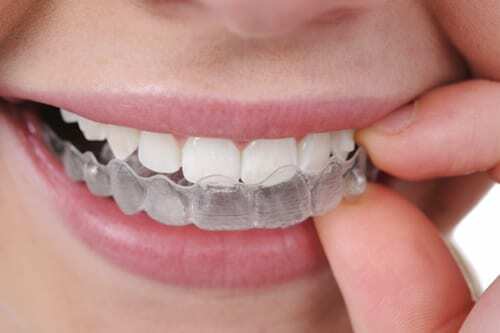 If you’re an adult who would love straighter, neater teeth but you can’t face the thought of wearing braces then it’s time you met Invisalign. Using a special technique these virtually invisible braces have been specially developed for adults and are created from transparent plastic and natural, white wire. The braces gently straighten your teeth by moving them in small increments. After a few weeks a new tray will be fitted and after a period of one to three years you will have lovely even teeth. The other great thing about Invisalign Braces is that you can also remove them to clean your teeth and eat. At Dentist@330 we provide orthodontics tailored to individuals and we are proud to work closely with some of the finest Melbourne orthodontic specialists when needed. If you’re looking at getting braces for your children in Melbourne or Adult Braces for yourself, why not take your first steps towards a new you and contact our dentists in Mount Waverley today for our advice.